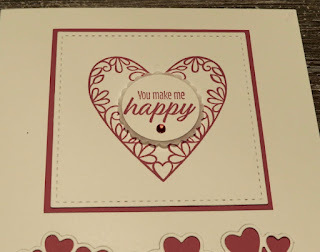 The Stampin'Up new Occasions catalog starts tomorrow and this is one of the bundles you could buy. 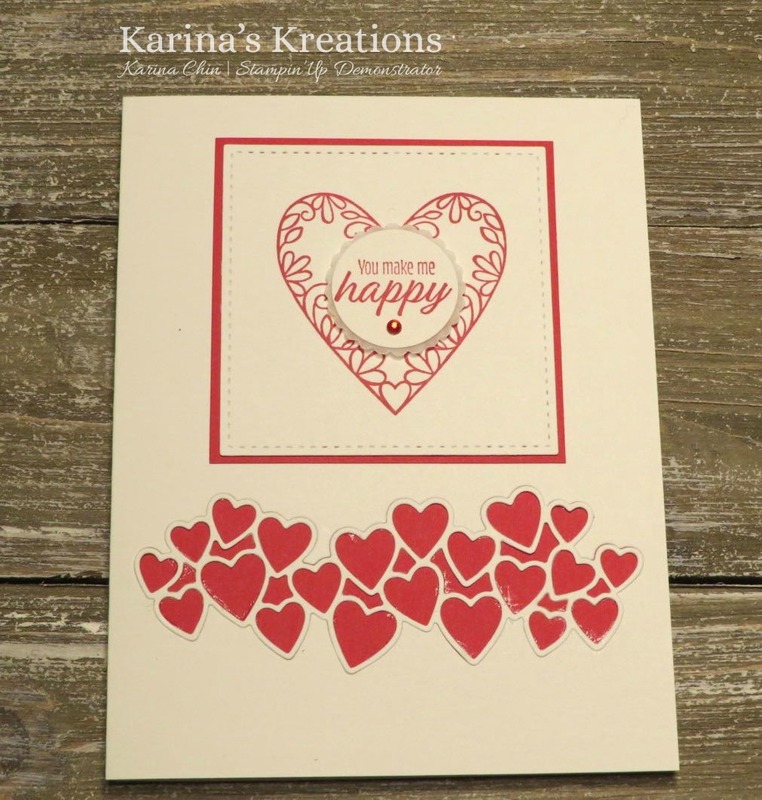 The bundle is called Meant to be and includes the Meant to be stamp set with the Be Mine Stitched Framelits Dies. When you purchase the bundle, you'll earn a free sale-a-bration from the special catalog. 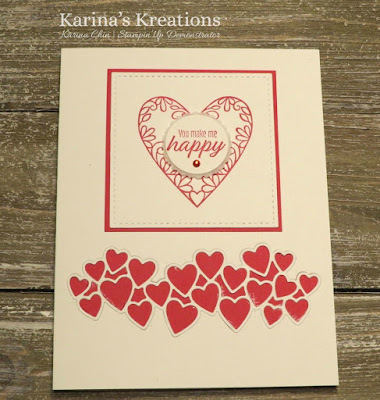 The stamp set is so pretty and can purchased separately from the framelits dies. 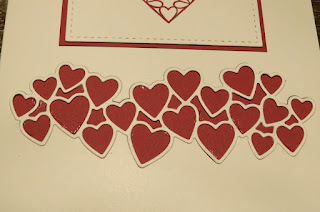 I cut out the card front using the hearts framelit die and attached Lovely Lipstick card stock inside the card. I placed the framelit die back into the cut out portion. 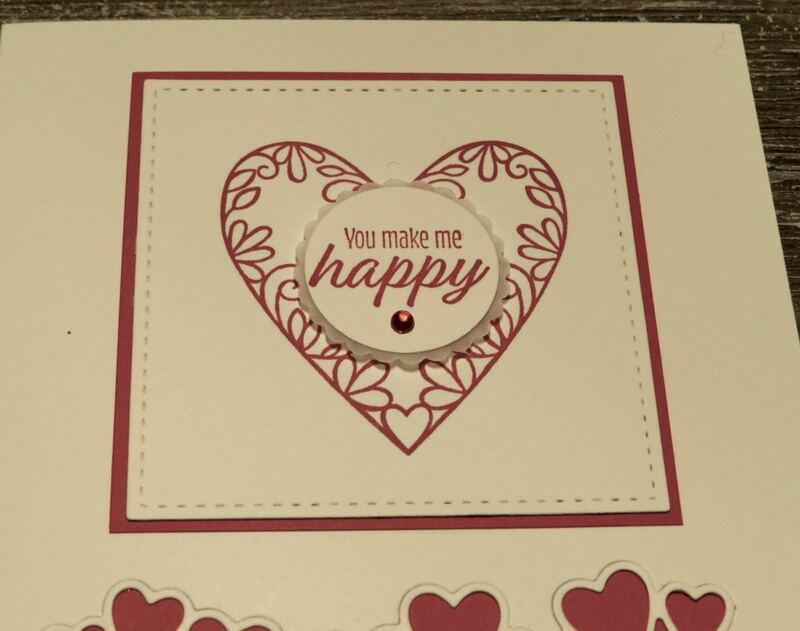 I love the detail it adds to my simple card. 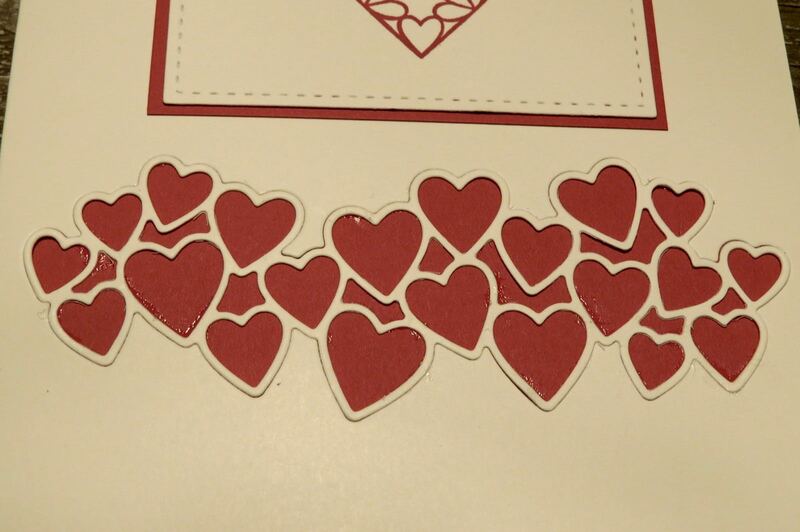 Here's the supplies to make this card. If you want to place an order please click on one of the pictures to go to my online store.